Natalie is excited to announce that she will be performing on a world premiere recording of Richard Thompson’s “The Mask in the Mirror”, which will be released on February 8. THE PHANTOM OF THE OPERA (In Concert) – May 2nd – 5th, 2019. College of the Desert, with special permission from The Musical Company, presents Andrew Lloyd Webber’s timeless story of seduction and despair. When it first premiered on Broadway in 1988, the show garnered ten Tony Awards, including Best Musical, and has since risen to become the longest-running show in Broadway history. It features music by Andrew Lloyd Webber, lyrics by Charles Hart and Richard Stilgoe, and book by Lloyd Webber and Stilgoe. These performances will be concert versions of The Phantom of the Opera, which encompass the entire show with minimal staging and a 28-piece orchestra. There will be fog, lighting, masks, a crashing chandelier and more, but many visual aspects will be left to the imagination. Friday, February 8, 2019 at 12:15 pm – Lunch Hour Rush Concert (A Concert for Bill) featuring Bridget Hough, piano; William Wood, bassoon. Friday, October 26, 2018 at 3 PM – SoCal Pianos Benefit Concert in Palm Desert, California. Featuring Jeffrey DeLeur on piano. Wednesday, October 24, 2018 at 7 PM – Voyage à Paris (Rancho Mirage Library Music Series) in Rancho Mirage, California. Featuring Jeffrey DeLeur on piano. Friday, May 25, 2018 at 7 PM – Hélène, Presented by the Fine Arts Network, with Natalie Mann in the title role. August 17, 2017, 7:30 pm – Collaborative Chamber Concert featuring the works of David Conte and Marc Blitzstein, St. Bede’s Episcopal Church, 3590 Grand View Blvd, Los Angeles, CA 90066. October 14, 2011 – Avak the Healer by Alan Hovhaness with the South Shore Orchestra. 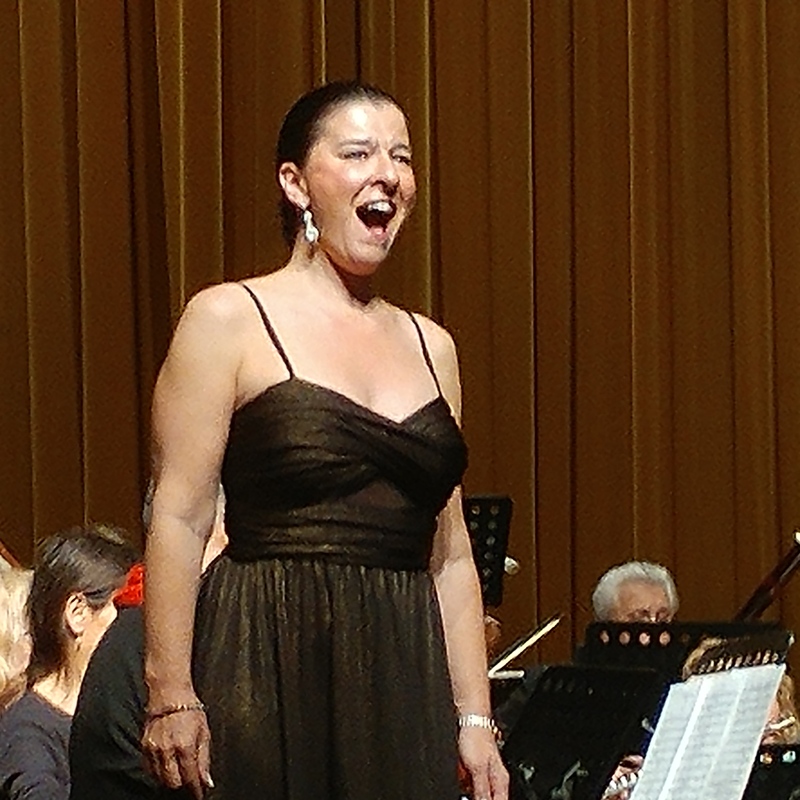 October 1, 2011 – Donna Anna in Pacific Opera Project’s production of Don Giovanni. February 20, 2011 – Solo Concert in Weill Recital Hall at Carnegie Hall with Jeffrey Panko, Piano. December 4 & 5, 2010 – Soprano Soloist in Beethoven’s Missa Solemnis with the La Jolla Symphony and Chorus. Natalie had a wonderful time singing holiday music with the South Shore Orchestra under the direction of Maestro Troy Webdell. They toured all over China. Including sites like Xian, which are the bell tower photos, Ulanhot, Inner Mongolia, which are the folks in traditional dress, and Shanghai.